Additionally, the HOST system is a “green” product: both environmentally and health friendly, 100% natural and non-toxic, and safe for children and pets! It’s even Green Seal Certified! 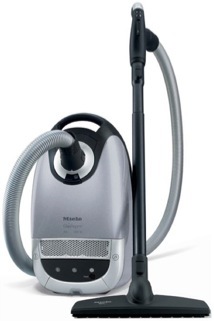 Did you know City Hardware is an authorized Miele vacuums dealer? Quite possibly the best - and last - vacuum you’ll ever buy, Mieles are precision-engineered, powerful, quiet and 100% recyclable! They’re cool looking too, making a stylish addition to any urban space! Check ‘em out at City Hardware! Looking to maximize storage in small spaces? City Hardware sells Easy Track closet and space organization systems. Easy Track makes it...well...easy...to build a custom storage system for closets, kitchens, bathrooms, garages and more! Available in 3 finishes: cherry, maple and white, and with an assortment of accessory racks, shelves and bins, you’ll be able to configure a closet or wall unit that will make the most of your space, and at a fraction of the cost of other custom closet systems. We’ll even help you develop a 3-D design to visualize your custom configuration in your space! Stop by and ask us how, or click the button below to start your design now! Then bring it in to City Hardware and we’ll make sure you get all the stuff you’ll need to make it a reality! Visit HOST online for more information here, or stop in at City Hardware and see the system for yourself. Rental rates are by the day and very affordable. A great way to freshen up your space! City Hardware now sells the Eco-heater! Eco-heaters are high-efficiency room heaters that mount directly on a wall outlet and provide full-room comfort for less than 4 cents / hour to operate! The Eco-heater is only 23x23 inches large, and you can paint it to match your wall color! Learn more about Eco-heaters at this website: Eco-heater , then come in to City Hardware to get yours! 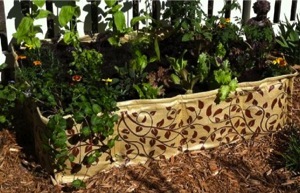 Coir mats are made from 100% coconut fiber, are all natural and bio-degradable. Available in 12 great-looking patterns (soon to be 14). Dish towels are woven cotton - some all organic - and come in 10 different patterns. New for spring 2009, coir door mats and cotton dish towels from tag! Great-looking new wares for your home! Planning to do some canning this season? There’s nothing like homemade NW preserves, and City Hardware is your canning supplies source! We’ve just bulked up on jars, lids, racks and more to make your canning a success, so stop in and ask to see the wares! Interested in saving water every time you flush? Check out these new replacement toilet flush kits, from One2Flush. An easy replacement of your existing fill valve and handle, and... ...voila! You get 2 flush options: just turn the handle one way for a half-flush for liquids, or the other way for a full flush for solids. 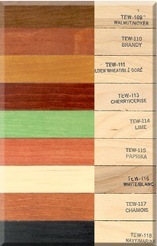 Now available at City Hardware, Vermont Natural Coatings wood finishes for furniture and floors. Vermont Natural Coatings are made from PolyWhey® - a renewable resource - are super durable, fast-drying, neutral odor and low VOC! Click here to see how these wood finishes compare to traditional polyurethane finishes. 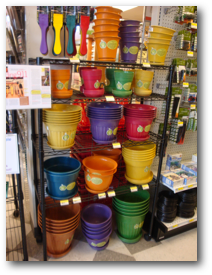 Colorful and available in a variety of shapes and sizes, these pots are fun for you and good for our planet. City Hardware is proud to be Washington’s first retailer of june fifteen® reusable bags! These stylish, reusable and durable bags are made from jute, a sustainable plant or cotton, and are washable and recyclable! 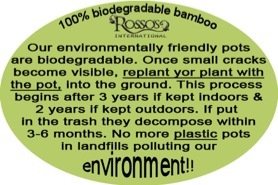 Come in and check them out for yourself, and be the first in town to sport these eco-friendly bags. Now available at your favorite hardware store...100% organic, and locally made in Ballard, plant fertilizer from Walt’s Organic Fertilizer Company! Walt’s makes their own vegan Organic Garden and Rainy Pacific Northwest blends that are perfect for feeding hungry Seattle plants. And did we mention, everything they make is 100% organic! City Hardware is now your source for custom Levolor® blinds! Whether you’re looking for metal minis, verticals, real or faux wood or cellular shades, we’re your source. 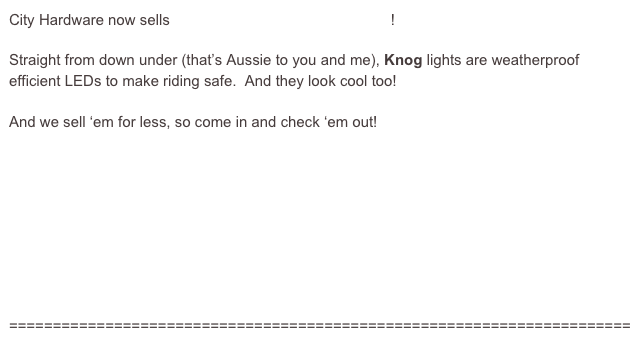 And not only will you receive fast, helpful service, you’ll get great pricing and shipping directly to your door! Now available at City Hardware, SAMAN wood stains! SAMAN stains are water-based and odorless, require just one coat and can be mixed at home to create an almost infinite variety of colors! They’re good for you...and the environment! 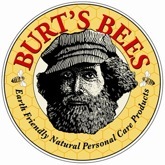 City Hardware now carries Burt’s Bees products! Why, you ask, would a hardware store carry Burt’s Bees? ‘cause we love Burt... and his Bees! We’ve added some great names to our kitchen wares, like Bodum, Joseph Joseph, William Bounds and Totally Bamboo. Plus more cool stuff from Chef’n, Harold’s, Zyliss and Duncan Kitchen Grips to bring you fun and useful tools for your kitchen! This season, grow your own organic herbs, vegetables and flowers - right on the patio of your apartment or condo - with the Little Acre Raised Bed Garden from Easy Growin’! The Little Acre sets up in just minutes, is made from woven fabric for excellent drainage and aeration and just plain looks great! Two sizes are available: 2x3 and 3x4 - perfect for smaller patio spaces. Stop by and see our Little Acre, soon to be growing at City Hardware! Cedar Grove compost and potting soil! We’ve found a local WA company that makes pesticide free pest control products! Springstar, based in Woodinville, was founded by an entomologist, and makes indoor and outdoor pest control products that are effective, nontoxic and environmentally safe. Get rid of the pests...and the pesticides...at City Hardware! Made locally in WA...for WA. Now at City Hardware - Eco-Me family and pet safe cleaning products! Made in the USA, no animal testing, green top tier rated. 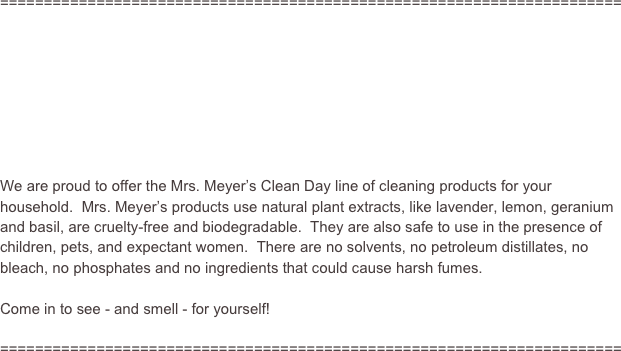 Safe cleaning for you, your pets and the environment! Turn your favorite canning jars in to drinking and storage jars with lids from Cuppow! 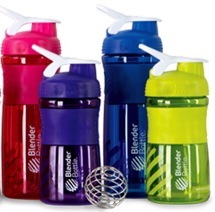 Now, at City Hardware - Blender Bottle Sport Mixers! Mix your favorite energy, protein or flavored drink with a simple shake, rattle & roll! BPA and Phthlalate-free plastic and surgical grade stainless steel blender ball for safe, clean drinking. Learn more at BlenderBottle.com.